On the trail of the golden dragon of Wessex…. The Golden Dragon of Burford in Oxfordshire isn’t a takeaway! It’s the pagan banner of the Anglo-Saxon King of Mercia, Aethelbert, who was defeated at the Battle of Burford in AD 752 by Cuthbert, King of the West Saxons. Aethelbert’s golden–dragon banner was taken, and for centuries the outcome of this battle was celebrated in the town by a procession and much festivity. In the 1979 parade, 25 local schoolchildren provided the legs of a 50’ dragon! Aethelhum/Erle Adellum the standard-bearer turned up elsewhere. In the late 16th or early 17th century the people of Burford still celebrated the anniversary of the battle. Camden wrote: “There has been a custom in the town of making a great dragon yearly, and carrying it up and down the streets in great jollity on St John’s Eve.” The field traditionally claimed to be that of the battle is still called Battle Edge. According to Reverend Francis Knollis’ description of the discovery, “On 21 November 1814 a large freestone sarcophagus discovered near Battle Edge 3 feet (0.91 m) below ground, weighing 16 long hundredweight (1,800 lb; 810 kg) with the feet pointing almost due south. The interior is 6 feet (1.8 m) long and 2 feet 2 inches (0.66 m) wide. It was found to contain the remains of a human body, with portions of a leather cuirass studded with metal nails. The skeleton was found in near perfect state due to the exclusion of air from the sarcophagus.” The coffin is now preserved in Burford churchyard, near the west gate. This says: A stone coffin was found in 1814 a mile from Burford, on a new road being constructed from Upton to Little Barrington. The coffin contained a human skeleton and pieces of metal studded leather – possibly hobnail shoes or sandals. The coffin and its contents were dated as Roman. The remains were removed to the British Museum and the coffin was recorded as being placed in Burford Church in an aisle called ‘Sylvesters’. However, a recent visit to the church, and information gathered from the Verger, revealed that in fact the coffin was never inside the church. It sits by the churchyard wall to the north-west side with other large stones. The verger explained that the second large stone coffin was probably medieval, the stone (half) sitting on top of it was reported to be part of the top of the Roman coffin, and the large stone leaning against the wall was the top of the medieval coffin. One of the other stones, seen in the photographs, could be the other half of the Roman top. So, was the 1814 Roman, and therefore nothing to do with the battle of AD792? Or was the medieval coffin more relevant? It depends, of course, upon what one means by “medieval”. It would be interesting anyway to learn to whom such a striking burial (the one in 1814) belonged. A stone sarcophagus weighing almost three tons, buried three feet underground? With four marker stones topped with moss? And there was a perfect skeleton inside? If it had anything to do with the battle, it could not be the unfortunate Aethelbert, who was “put to flight”, not killed. Maybe it was Erle Adellum, the bearer of the golden dragon standard? Or was he another Sir John Cheyne, and lost the standard, but lived to tell the tale. Or not tell it, probably, since Cheyne was a giant and was unhorsed by the much smaller Richard III with a broken lance. (Oh, I love that story!) Whoever he was, his skeleton seems to have disappeared now, or is stored somewhere in a box. Hmm, sound familiar? In Britain, the golden dragon is definitely associated with Uther Pendragon, and thus, presumably, with King Arthur himself. Being able to claim such famous ancestors was a great thing for royalty and nobles in the medieval period, and so heraldic golden dragons have turned up a number of times. Harold Godwinson carried the golden dragon, and there is a school of thought that believes (because he carried it, and was the final Saxon king) the golden dragon was the last truly authentic flag of England. Harold carrying a dragon shield – is it a golden dragon? A white dragon? Or a white-and- gold dragon? Whatever, it’s a dragon with gold on it! It was also used by Owain Glyndŵr, and purloined in a red form by the Tudors. But sometimes Elizabeth I was known to have substituted the red dragon supporter for a golden one (see top picture above). And the golden dragon still crops up in present-day county coats-of-arms, e.g. Dorset. Mostly, of course, those counties that are in what was once the Kingdom of the West Saxons. So, how important should the golden dragon still be to the heraldry of this country? But, I suppose, it would only go the same way as the red dragon of Wales. . .and be omitted from the Union Jack. Why Shakespeare repeated the Tudors’ fake news…. As Ricardians, we all know that Shakespeare toed the Tudor line. 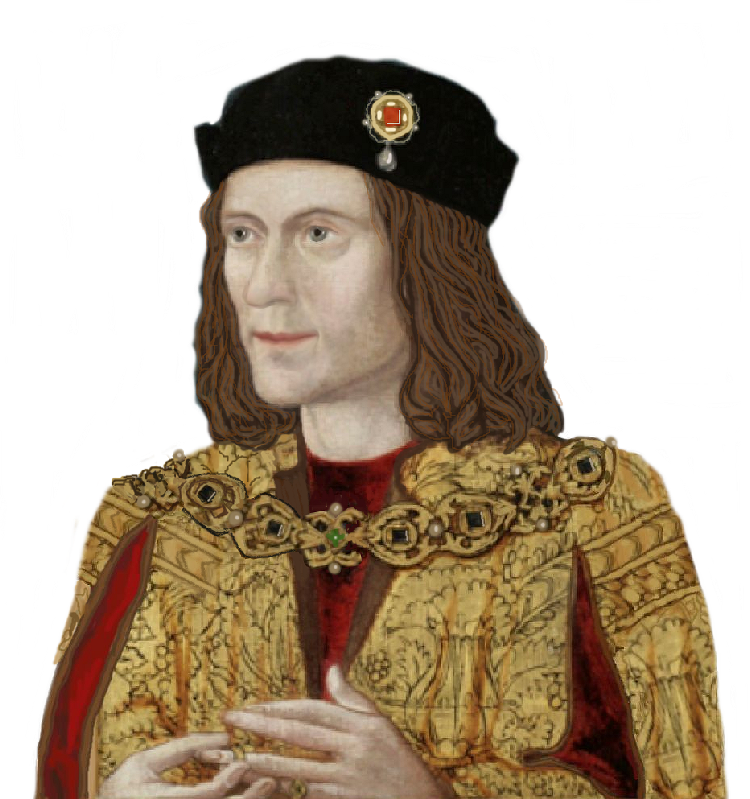 He repeated the falsehoods of More and the like, and labelled Richard III for all time as a deformed monster. But this article discusses the circumstances that compelled the Bard to write as he did. Well worth a read. “Q: Which three historical figures would you invite to a dinner party and why? “Queen Anne Neville. Frustratingly little is known of her life. 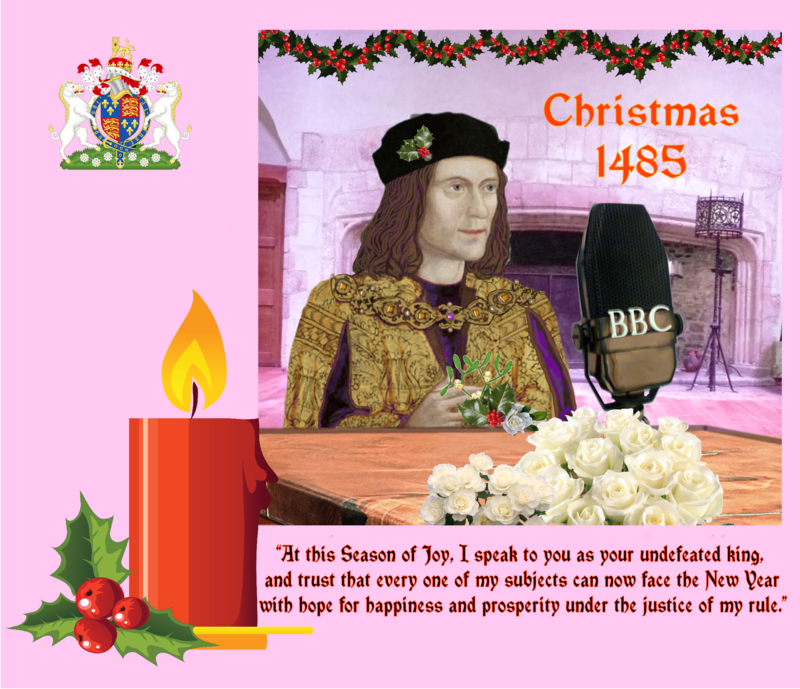 I’d love to know if Anne was happily married to Richard III and how she felt about the events of 1483, when King Edward IV unexpectedly died and Richard declared himself king of England. “King Louis XIV of France. He has always fascinated me, and even more so since watching the TV series Versailles! All of the intrigues of the French court and Louis’s various mistresses enthrall me. Plus, I have always wanted to ask him what inspired him when creating the Chateau de Versailles. I don’t know that I would wish such a small dinner party to be a ‘moving experience’, so maybe Anne Frank would not be on my list, but then, is not Anne Neville’s story a moving one as well? So, this dinner party is going to be a quiet affair, I think, unless Louis XIV runs riot. What Richard’s queen might have to say is bound to be of intense interest to Ricardians, of course. I hope that she would recall the wonderful days before 1483 spoiled everything for her and for Richard. And please do not think I brush Anne Frank aside, because I certainly do not. I would just hope to find she still had a lighter side, a trace of her original self, undamaged by her dreadful experiences. Maybe she would rather seek her lost, happier self, too. Anyway, the above guest list has been compiled by historian Nicola Tallis, in an interview connected with her appearance at the York and Winchester History Weekends this October. See the above link for more details. Ms Tallis appears to be mainly interested in the Tudor queens and period, so perhaps it is strange that she would not invite, say, Elizabeth I, to dinner!